Learning a language is a large undertaking, no matter who you are. Many students feel like taking a class is enough, but in fact you really need to live the language in order to learn it. These days, you can actually use social media as a tool to immerse yourself in any language. If you’re teaching your students Hebrew, it’s a great way to get started. Here’s how you can use it in your teaching. Social media is a form of communication that everyone can use. Groups can be made for your class, material can be targeted directly to them, and most importantly it encourages communication. If you create a Facebook group for example, and make a rule that everyone needs to communicate in Hebrew, then skills will develop quickly. Facebook: This is a popular option, although be aware that some younger students may not be using it. With this tool, you can create specific groups that you can add students into. You can use them for anything, from structured discussion to writing support groups between students. Tumblr: This blogging site hosts all kinds of different groups, and uses a ‘feed’ system like other social media sites. That means it’s another great way to bring in content to your class’s feed, making learning easy. You can create all kinds of posts here, from image posts with flashcards, to longer text posts for theory. YouTube: If you want to create videos with your students, then YouTube is the place to do it. If you’re working with younger students, you can even use the children’s YouTube service to keep users safe when they’re online. You can encourage students to create their own videos, to facilitate learning and teamwork. Now that you know exactly what kind of social media platforms you can use, here’s why they can benefit your students. Ease of use: As mentioned earlier, nearly everyone these days uses social media. You can access it almost anywhere, thanks to your mobile phone. That means that your students can be learning Hebrew anywhere, at the touch of a button or a tap of the screen. Bring students together: If you’re teaching a class, then having a social media group they can all take part in will help them feel more involved in their learning. They can also support each other through social media, as they complete assignments and tasks together. Cater to different types of learners: “Not all students learn best simply sitting in the classroom, listening to the teacher,” says language learner Danielle Law from Top Canadian Writers. “I’ve found it a lot easier to learn by creating my own blog posts about language, or working with others to put a document in Hebrew together.” If you’re working with learners who need different kinds of input, social media can provide that for you. 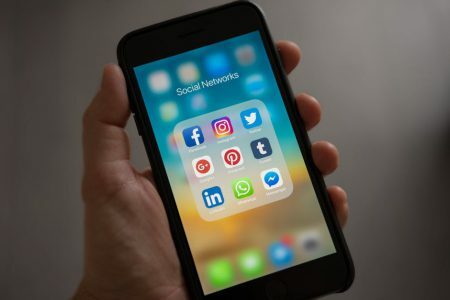 Before you start using social media in your Hebrew lessons, it’s worth thinking about whether it will work well with your students. It’s often best used with students over 18, since if they’re underage you may need permission from parents to implement your ideas. You also need to be aware that if you’re using social media, you’ll be creating a link between you and your students online. It may be worth creating a special account for your class, which will be kept separate from your own, personal accounts. Finally, ensure that you lay some ground rules for how you and your students will use social media for learning. If everyone knows what is expected of them, this should keep problems to a minimum. If you keep these things in mind, you can keep your students safe online as they learn with you. Now you know just how helpful social media can be if you’re looking to make Hebrew learning more interactive. Try setting up some accounts and preparing learning materials for your students. You’ll see just how much they’ll enjoy learning with you in this way. Rachel Summers has worked in education, tutoring students who need extra assistance with their studies. That means that she has the expertise needed to show students the way to study effectively, including Best British Essays. She writes with this goal in mind, so you can get ahead in school or college. 9 Free Websites For Your Students to Learn Hebrew All About The Jewish Day School Social Media Academy 2013-14 The Top 10 Social Media Tips Every Nonprofit Needs to Know for 2015 Top 10 Social Media Tips for Nonprofits in 2014 What’s Your Jewish Organization’s Multi-Channel Social Media Strategy?